In Tobacciana > Show & Tell and Fine Art > Sculpture > Show & Tell. 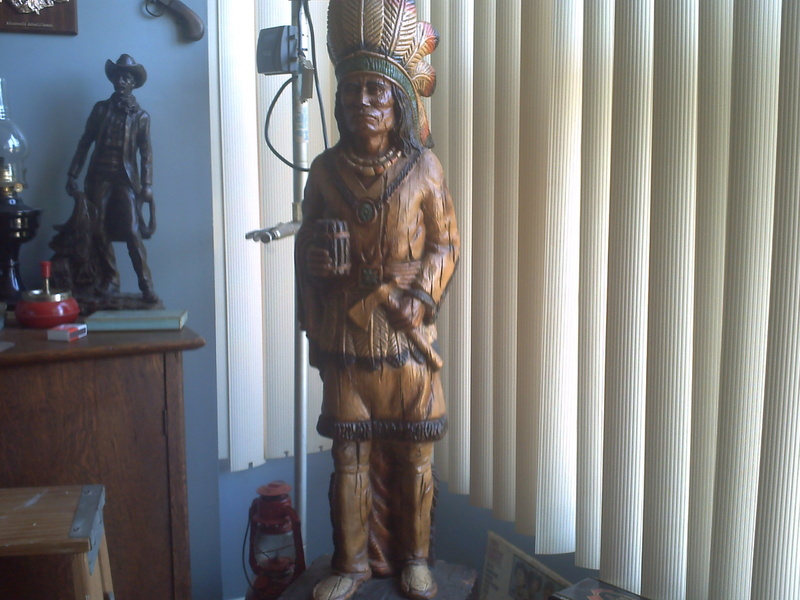 Had the Chief for a few years, he was given to me as a gift, He stands only 42" tall and of course holding the proverbial cigars, and tomahawk. I want one. Great piece. I am Cherokee, I also want one!! I'll patiently wait my turn :) Thank you brother! I too am Cherokee (1/8th). It is a small world. PS: PONTIAC. I had a GTO 389 in the 60's. Still alive! Alright fortapache! I am 1/4, but not recognized. It is a small world :) "All my relations"